Author: Diakite, Penda Set In . . . 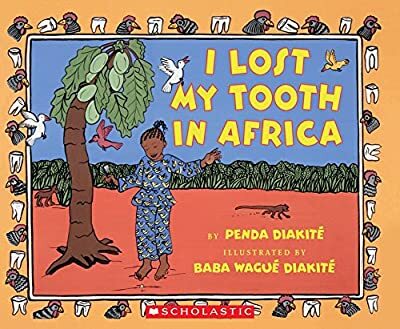 Description: Coretta Scott King Honor author/artist Baba Wague Diakite and his 12-year-old daughter, Penda, create a charming, original adventure story about losing a first tooth while visiting family in Mali. More than anything, Amina wants to lose her loose tooth while visiting her family in Mali, West Africa. Only then can she put it under a gourd for the African tooth fairy, who will exchange it for two chickens! Happily this happens, and even better, the chickens lay eggs. But will the eggs hatch before it's time to return home to America? In this fresh, spontaneous story that is infused with close family warmth, Penda June Diakite joins forces with her award-winning author/artist father to give a charming peek at everyday life in Mali.